How does one address VEGA INTL. Night School? My humble suggestion is just to surrender yourself to it. 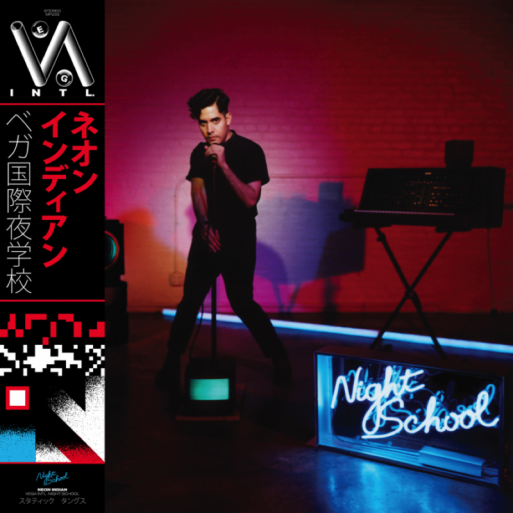 Neon Indian has created a delightful synth-based dish of electronica, EDM, funk, new wave, disco, and reggae that works equally well as your party soundtrack or your late night private head trip. Plenty of accents come from the tropics, and some with an '80s vibe, but nothing sounds particularly dated here, just moved into the future and decorated with more interesting details than a department store Christmas tree. I can't listen to this album without envisioning strobe lights, moving bodies, flesh, touching, and passion. Even if I listen to it sitting in a chair, I feel as if I should a shower afterword to freshen up. And I think Neon Indian would find that to be a compliment. This is a fun Friday slice of off-kilter pop culture. In honor of the upcoming Bond film (you've heard of him, I expect - 'Bond, James Bond') WIAIWYA has assembled 34 versions of various themes from the Bond films over the years. Numerous artists contributed covers, and the variety is stunning. Indie pop, blues, electro-pop, lounge, folk, new wave, punk and just about everything else in our "tag" library. Each song receives several different treatments. 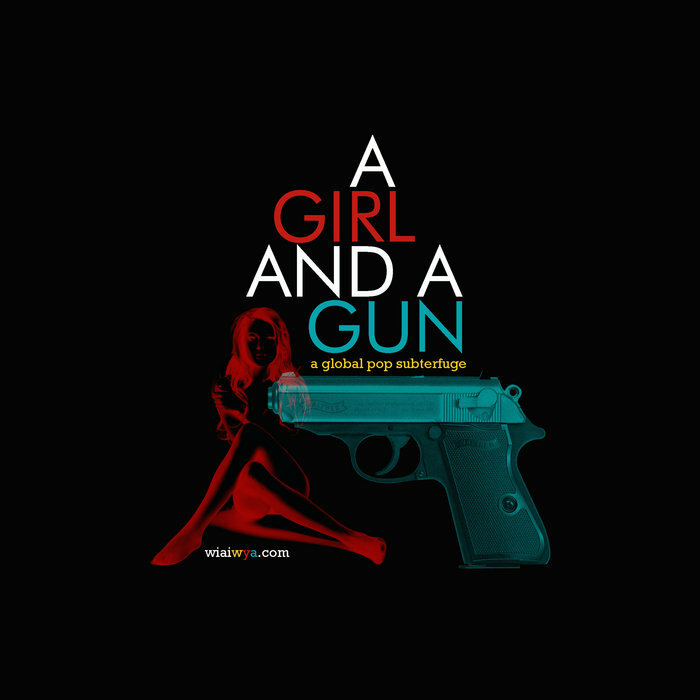 A Girl And A Gun is available at the Bandcamp link below for 'name your price'. So you can get it free, but if you pay you will have access to the mobile Bandcamp app to play your favorite alternative Bond themes whenever and wherever you desire. In addition to obtaining some fun versions of Bond songs, you likely will discover a few indie artists you would like to explore. "Don't Need You" is the new single from Sydney band East of Here. A tale of the search for relationships in modern culture, if features passionate vocals and a chill groove. Trader Horne was formed by Judy Dyble (vocals/electric autoharp/piano), formerly of Fairport Convention (in which she proceeded Sandy Dennis as the lead female vocalist) and other bands, and Jackie McAuley (vocals/guitar/keys/whatever is needed), former bandmate of Van Morrison in Them. Straddling the space between traditional British folk and the rock infused folk of Judy's former group and the likes of Steeleye Span, the duo began in early '69 and was done in '70. Their total output was a couple of singles and an album titled Morning Way. Earth Records has rescued the album from obscurity, and reissued it this month. Of course it is a snapshot in time; an artifact of acid folk that had a good following and a number of purveyors on both sides of the Atlantic. But it also is an artifact worthy of reissue. Judy and Jackie combine well vocally, and collaborate beautifully instrumentally. The songs are richly textured and airy. And the band's decision to link songs with gentle instrumentals sets it apart from the work of their peers to delightful effect. Best listened to in a single setting rather than as individual songs, one can only be disappointed that the duo didn't continue to hone their sound together. This edition of Morning Way has been remastered and is available on limited edition vinyl and unlimited CD. Fans who have wanted this album but balked at the prices asked in second hand stores finally have their Christmas self-present sorted out. But this isn't an album just for existing fans. It is an album that evokes summer and early autumn days in sunny meadows, with a picnic basket, a good bottle of wine, and a favorite companion. Our readers invariably respond favorably to our occasional features on French pop artists, so we are happy to again make a digital venture to France to introduce you to Midnight Bloom. A duo consisting of Harisoa (vocals and bass) and Felix (guitar and percussion), they craft music that sounds both ultra cool and passionate. Elements of blues, jazz and Latin rhythms make for a varied soundtrack for the remarkable vocals. They released an EP titled Side By Side this Spring, which we recommend you check out at the Bandcamp link below. It is available in digital format for 'name your price'. Two of my favorite tracks are embedded below. And a tip of the WYMA touring cap to the Piggledy Pop blog for he tip about Midnight Bloom. Way back -- two days ago (link) when we reviewed All Odds End, the new album from The Mantles, we didn't have a video for album track "Doorframe". A great song with a bit of The Bats and The Chills in its DNA, the video is a fine way to experience it again. Young Morgan Neiman, aka DUCKY, has an incredible feel for club music. According to the story, she (courtesy of a fake ID) was working in clubs as a DJ while still in her teens. Moving to NYC, she continued to hone her craft. The wandering artist is now in LA, which has inspired her latest work, the three track Lost Angeles EP. 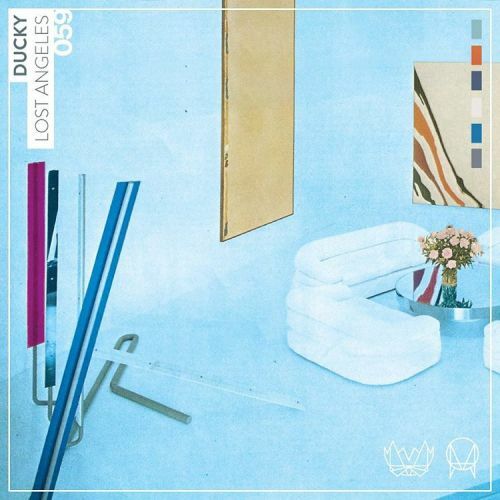 To my ears, DUCKY's work is finely detailed, artfully nuanced and features the big groove we want in our club music. Check it out below, and if you agree with my assessment of her talent, visit her Soundcloud or webpage for more. Tastes are individual. But for me one band that never fails to satisfy is Oakland's The Mantles. And their ability to deliver isn't dependent on outside of the box genre or incredible production wizardry. It is the result of doing what they do -- psychedelic garage pop -- and doing it better than the field. Not louder, not faster, not by jerking out tears, not by aping some past fashion. Just better. So here we are with a clear contender for a spot in the top ten of my list of best albums of the year, All Odds End. So, what makes this album so good? It starts with excellent songwriting, emphasizing simple but appealing melodies and enough hooks to make a fisherman happy at Christmas. The tone and vocals are melancholic, warm, and unassuming. The songs don't force themselves on you, but rather seep into your brain and soon feel like old friends. And as you get excited about the bright guitars and irresistible groove, you listen to the lyrics and realize that there is a lot more going on than Brit pop/Nuggets 'I'm in love' or 'live your life'. Of course, that's a good thing, like finding the guy at the creamery store put an extra layer of fudge and whipped cream underneath your scoop of ice cream as well. The album commences at a brisk pace with "Island", "Lay It Down" and "Police My Love" suggesting the dance album the Velvet Underground never recorded. "Hate To See You Go", one of my favorites, adds a more melancholy shade with hints of the Yardbirds in the guitar chords. 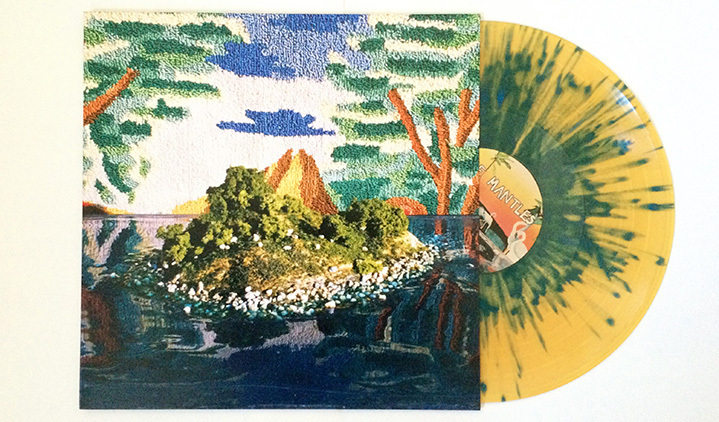 The fine "Lately" finds The Mantles in a more reflective mood. "Doorframe" and the gem "Time To Come Away" pick up the pace again. "Undelivered" has a California jangle pop feel and could have been a hit for Asylum back in the day. A hint of country rock comes with "Best Sides". The album closes with "Stay", a surfy garage stomper so perfect, and perfectly placed, that you will unconsciously reach the the button to replay the album. Sneaky, but sneaky good. Of course, a tour through the album will stir memories of potential influences, such as Nuggets, paisley pop, British invasion, VU, '80s New Zealand guitar pop, Postcard era Glasgow bands. But The Mantles aren't looking over their shoulders. This is music for today and tomorrow, built on strong foundations. All Odds End is out today, and is available on vinyl and CD, and as a digital download, via Slumberland Records. The Mantles are Michael Olivares (guitar/vocals/songwriting), Justin Loney (lead guitar), Matt Bullimore (bass), Carly Putman (keys), and Virginia Weatherby (drums). Olivares, Loney and Weatherby are Mantles veterans. Newbies Putman and Bullimore more than pull their weight, adding substance and energy to the performances.. All Odds End is out now via Slumberland Records on CD, vinyl and digital formats. We've been featuring the digital releases of Jimi Charles Moody since they began, and we happily note that we finally have a date for his first album release. Islington will be out on vinyl in December. To pass the time until then, Jimi has thoughtfully shared another album track, the fine "Death Row". We still don't know the identity of the UK chart-topping artist providing these bluesy gems, but there is not question about the quality of his music.